Many would vouch that St. Tropez is the crème de la crème of the self-tanning world. 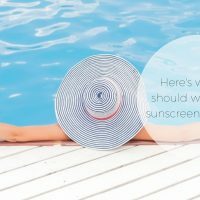 It’s no wonder why – with a wide array of products and a reputation for quality St. Tropez has made quite a name for itself among self-tanners worldwide. The Self-Tan Bronzing Mousse is the company’s best seller and most popular product. I always have a bottle or two of it stashed away and recommend it to friends… BUT if price is an issue there are some budget-friendly alternatives I will be talking about in the next few weeks. So without further ado here’s all you wanted to know. Use the St. Tropez Self Tan Bronzing Mousse with a mitt (often sold together). Pump two full pumps of self-tanner into your mitt and work your body from the legs up. For a more detailed usage guide click here. This tanner is an ultra-light, velvety mousse that feels nice and glides easily on your skin. The smell is probably the biggest downfall of this product. It’s not that the smell is unpleasant (it does not have the cheap drugstore self-tanner scent) but it does have a scent that’s quite strong. This smell will stay on you and be noticeable until you shower. I understand that they were trying to mask the bad smell that self-tanners are notorious for, but they went a little overboard. Gorgeous and bronze! No hint of orange with the magic of St. Tropez. You will be able to see the color right after applying and it will develop over several hours. You may notice the mousse has a hint of green – don’t worry that’s there to prevent the orange color all self-tanners loathe. Use for several days in a row to build the color. Apply twice a week to maintain. Click here for before and after color photos! Tip: if you slightly mess up your first application don’t freak out – you won’t be able to tell after a shower and second coat. How long until the tan washes off? This bronzing mousse lasts longer than the average self-tanner. An average of 5 days is to be expected with no reapplication. The color will not come off in patches and will stay even as it fades. 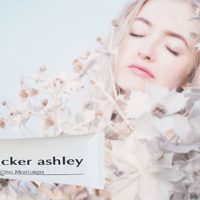 Ranges between $35.00-45.00 for a 4 oz. bottle and $47.00-$55.00 for an 8 oz. bottle. How long will this product last? An 8 oz. bottle of the St. Tropez Bronzing Mousse will last you several months. Most self-tanners should be used an average of two times a week for maintenance. If used correctly and sparingly it will last the average user 2.5 – 3 months. For users who only use self-tanner for special events this it can last up to 6 months. Yes. 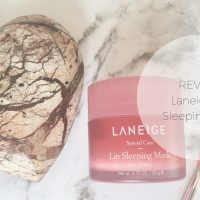 This product is worth the investment if you’re ready to try a higher end brand. You will not be left disappointed and the mousse will last you a long time. There’s a reason St. Tropez is such a big name in the self-tanning world! 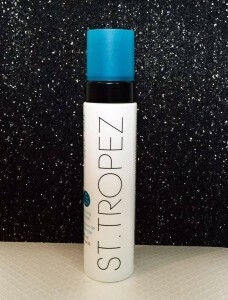 Have you tried the St. Tropez Bronzing Mousse? What did you think?